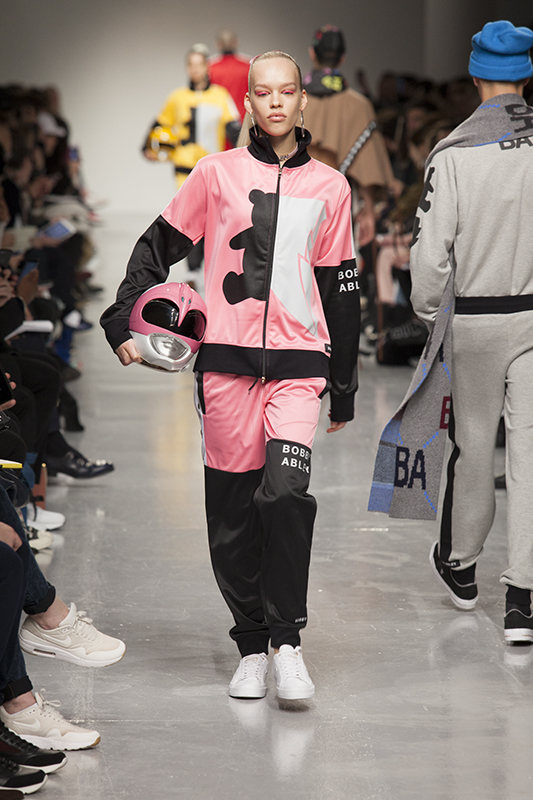 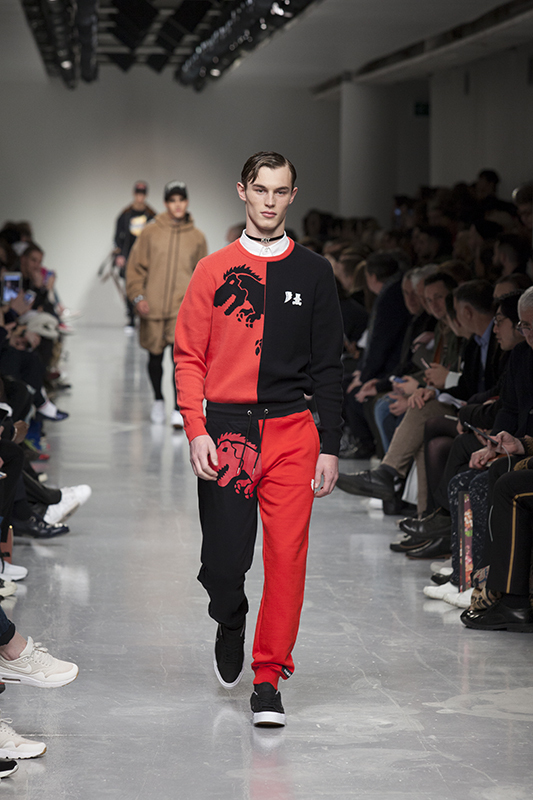 The always fun and nostalgic Bobby Abley returned this weekend to London Fashion Week Men's with his latest collection, Autumn Winter 2017. 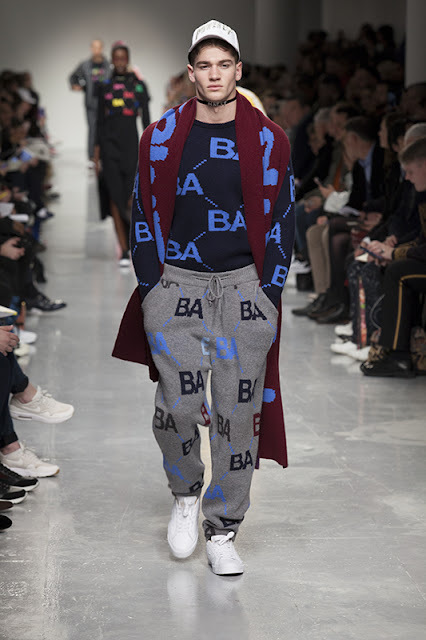 Abley is known for his fun-loving collections that always has a reference to some of his favourite films/television shows from the past. 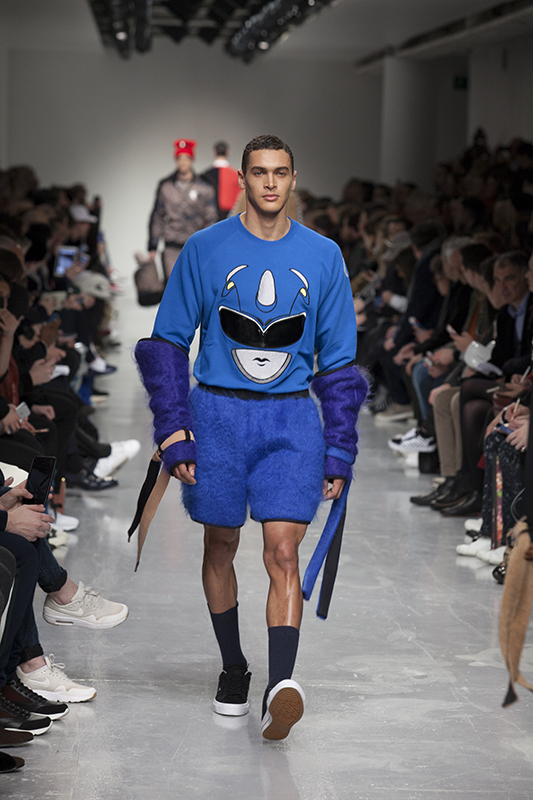 Previous collections featured Aladdin, Star Wars and the Little Mermaid. This time it was the Power Rangers that took front and center. Which is rather fitting considering the new re-boot film is to be released later this year. 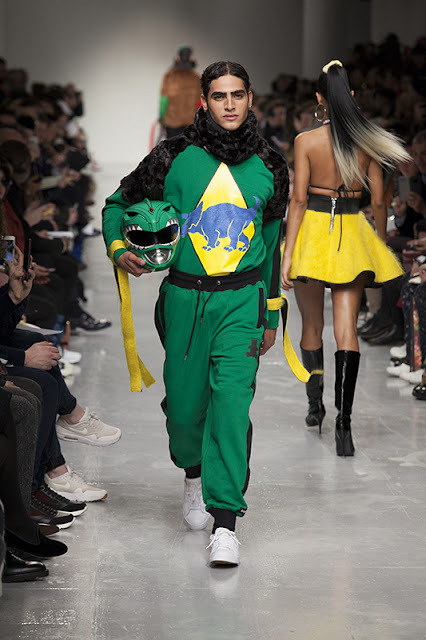 The collection tapped into the 90's streetwear trend that has recently seen a revival, with sweatshirts featuring both Power Rangers logo and his own paired with hair-covered jackets in bright and vibrant colours along with head-to-toe tracksuits. 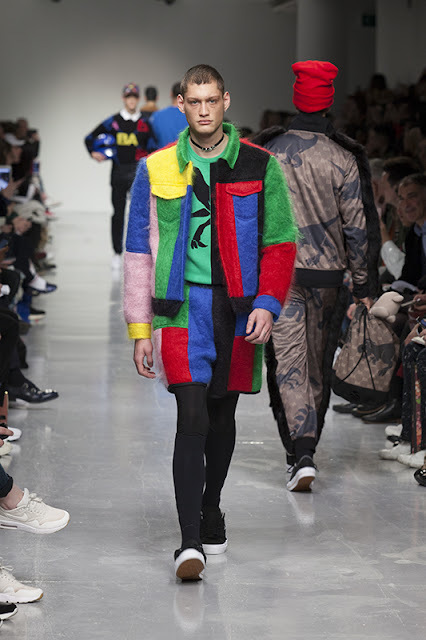 The upbeat runway was an instant crowd-pleaser and firmly confirmed that 'Morphin Time' is back.